Eat the Jenny Craig way. The Jenny Craig biography is more than just the story of a weight loss guru. While she has changed the lives of many, her interests are varied and quite interesting. Jenny Craig, whose real name is Genevieve Guidroz, hails from Louisiana…Berwick, to be exact, where she was born in 1932. She spent much of her earlier life in New Orleans and went on to marry Sidney Harvey Craig in the late 1970s. Jenny Craig met Sidney after he hired her to be the director of the Body Contour fitness salon in New Orleans. She later became the national director of operations for the company. Their history of diet, weight loss, and fitness includes a program they started in Australia, but they are most famous for their sensational creation, Jenny Craig, Inc., which they began in the United States in 1985. While most people associate her name with the weight loss business, the Jenny Craig biography includes a number of other interests, including many philanthropic associations. Some of the most well-known causes include the United Way, Easter Seals, Susan G. Komen Breast Cancer Foundation, Peace At Home's domestic violence prevention program, and many others, including various universities. Many people are unaware that Jenny Craig and her husband have made quite a name for themselves in the horse racing world. As the owners of a thoroughbred horse farm in Rancho Santa Fe, California, they've found success with several horses, including Mr. Devious, which finished seventh in the 1992 Kentucky Derby and was the winner of the Epsom Derby in the same year. Also in 1992, their filly, Paseana, won the Breeders' cup Distaff. As recently as 2003, another of their horses, Candy Ride, was the winner of six races in a row. From their early beginnings in the weight loss business in Melbourne, Australia in 1983, and later their incorporation of Jenny Craig, Inc., their company has become one of the most well-known and largest weight loss oriented companies in the world. Today, their locations span the United States, Canada, Australia, Puerto Rico, and New Zealand. 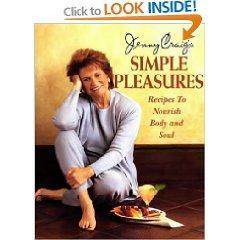 The Jenny Craig biography is certainly most well-known for the company's success in the weight loss business. Jenny Craig's approach is simple: the best approach to weight loss management is a focus on food, body, and mind. They encourage people to eat a healthy diet, increase their activity level on a daily basis, and manage portion sizes. The company also features trained consultants who work with consumers by providing advice on eating right and making good decisions, regardless of the situation. They motivate their customers to change their way of thinking and encourage participants to think of a weight-loss plan as a way to take care of their bodies. Jenny Craig, Inc. also boasts that it offers support through one-on-one attention. Participants can visit Jenny Craig Centers or speak to consultants over the phone, which is part of the at-home Jenny Direct Program. According to the Jenny Craig site, a recent clinical trial showed that "Jenny Craig participants lost over 5 times as much weight as those who dieted on their own." For many dieters who try to diet on their own, Jenny Craig's program is the key to their success. Will Jenny Craig work for you? As with any weight loss plan, there is no magic button you can press or magic food you can eat that will melt those pounds away. However, if you are disciplined and willing to change the way you eat, this program may be just what you need to jump-start your way to a healthier, leaner self. By incorporating exercise, eating a healthy diet, and watching your portion sizes, you could discover that you feel better and look better after only a few weeks or months. You never know until you try! What have you got to lose?